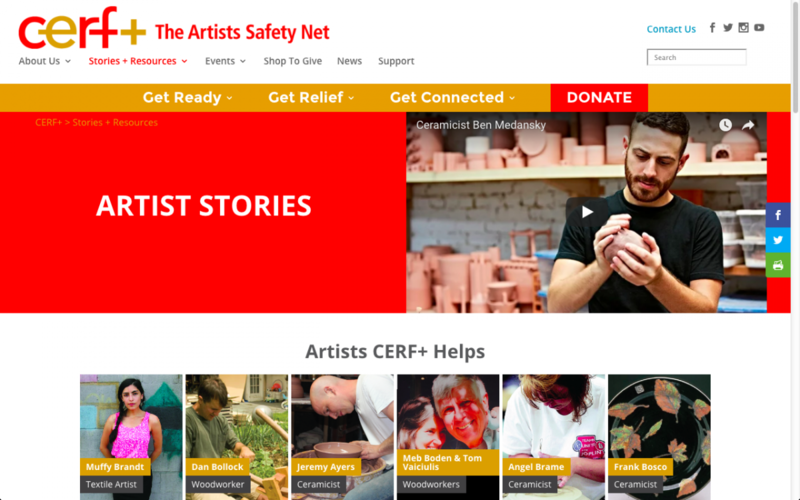 CERF+ is a national Artists Safety Net that provides education, advocacy and direct emergency relief in emergencies. Over their 30+ years in existence, they have grown and explored various ways of presenting their Identity and services to a point where it had become fragmented and self-competing. Their new website presented an opportunity to streamline a cumbersome system for telling their story while strengthening their position and connection to their audiences. Social Impact Studios was the project lead, and partnered with me to provide web development, user experience, and other services. 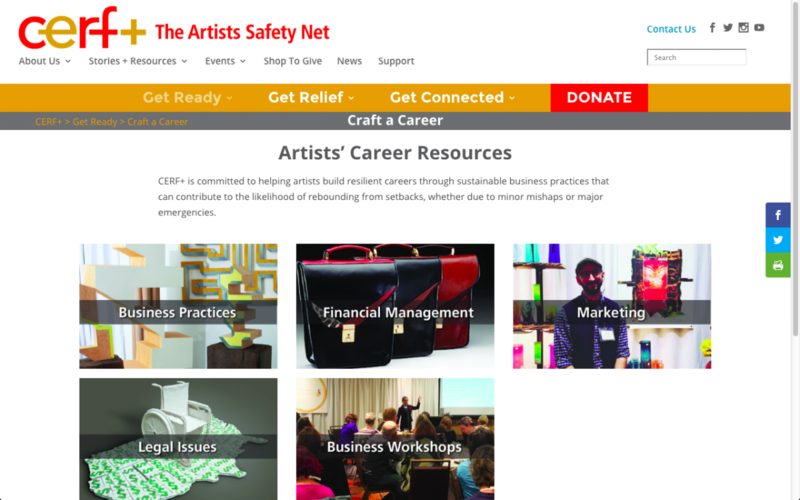 CERFplus.org is the virtual version of “The Artists Safety Net.” It brings together a combination of information & resources, direct access to emergency relief funds, and a way to engage with a community. Originally, CERF+ had 2 different websites – one for the organization and one for their signature tool, the Studio Protector. Our biggest challenge as a team was to bring these worlds together and portray an overall identity, while maintaining some unique qualities that fit the needs of the audiences of these specific types of information. Common categories, tags and search capabilities help visitors find articles that relate to their interests regardless of where they are on the combined site. Visual design elements that go together as an overall Identity “family” to reinforce CERF+s overall public image, but also provide visual cues for visitors to understand what section and topic they are viewing. Portal infrastructure that helps visitors gradually navigate complex layers of information without getting overwhelmed by detail all at once. 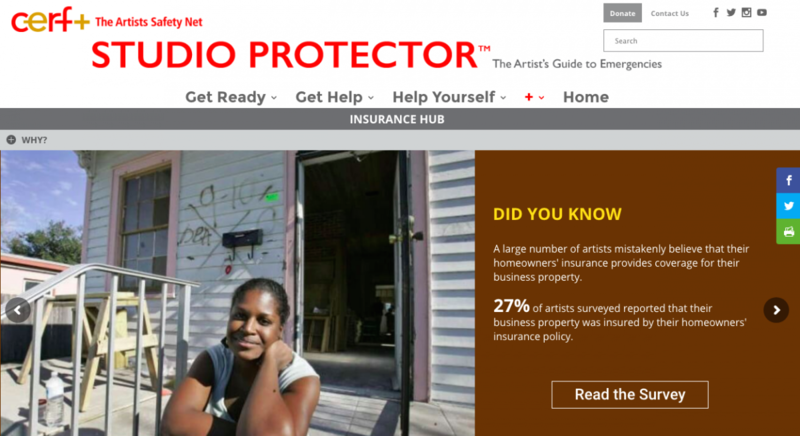 An Insurance Hub that provides direct access to a database of insurance companies that have specialized programs and policies for artists & craftspeople – along with tips and best practices for planning insurance. Built a board member portal for sharing documents in a secure area of the site. Added a new section on responding to the various major hurricanes in 2017. Built an interactive page on their strategic plan. Set up a news feed to pull in content from a partner site. Worked to improve search engine optimization. Ongoing support and training for CERF+ staff on managing the content. Combined site traffic increased by an average of 25%. The average number of site sessions doubled the combined total from both sites the year before. Average weekly number of users doubled from the year before. New followers on Facebook grew by over 1,000 people. 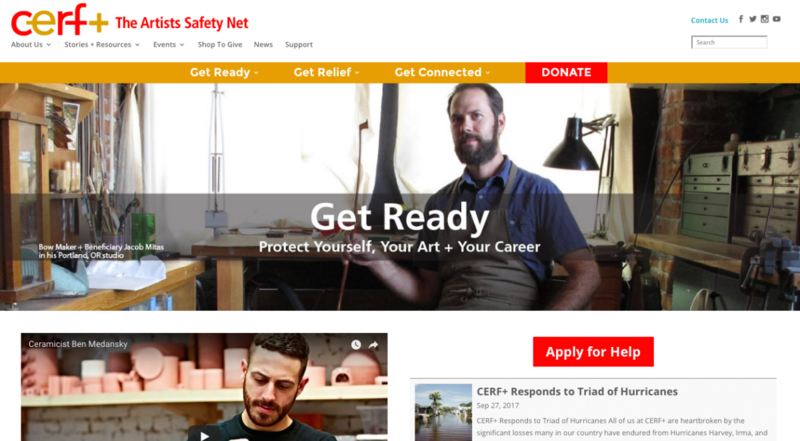 CERF+ formed a new partnership with Etsy that helped raise over $50,000 (and growing) for Hurricane & Disaster relief.